In a deep skillet, cover chicken with water. Bring to a gentle boil and simmer until the chicken breasts are cooked through. Cool. 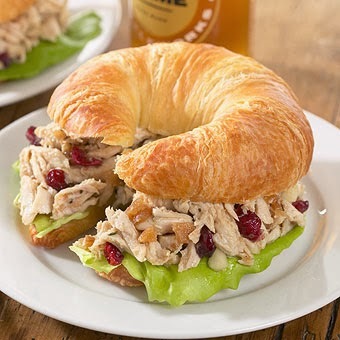 Combine all ingredients and serve chilled on crusty bread as a sandwich or over salad greens.